Join Renew by 5pm (AEST) on 18 April 2019 to go in the draw to win a Stiebel Eltron hot water heat pump worth up to $5500! Perfect for anyone who wants to lower their bills, store their solar energy or get off gas! 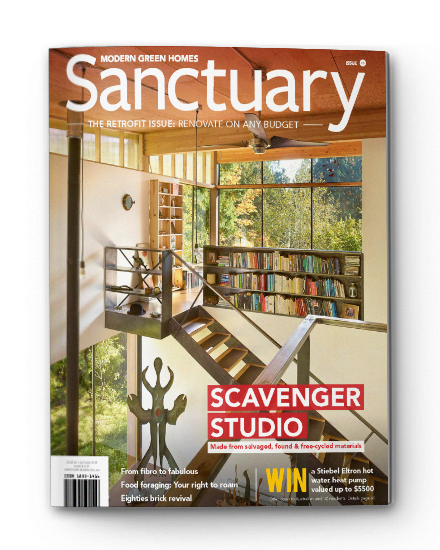 The competition is open to anyone in Australia or New Zealand who is a current member of Renew or subscriber (magazine-only member) to Renew or Sanctuary magazine. The prize is not redeemable for cash. Prize value includes GST. or mailed to Renew, Level 1, 39 Little Collins St, Melbourne VIC 3000. Paid Renew staff, members of Renew Board, Stiebel Eltron staff, Stiebel Eltron dealers, and members of their immediate families are ineligible to enter. The competition is open to individuals only. Corporate entities, collectives and organisations are ineligible. The competition runs from 27 Oct 2018 to 18 Apr 2019. To be eligible, subscriptions/memberships must be received by 5pm AEST on Thursday, 18 Apr 2019. The competition will be drawn at 11am AEST on Friday, 3 May 2019 at Renew, Level 1, 39 Little Collins St, Melbourne VIC 3000. The winner will be contacted by phone and will be notified in writing. 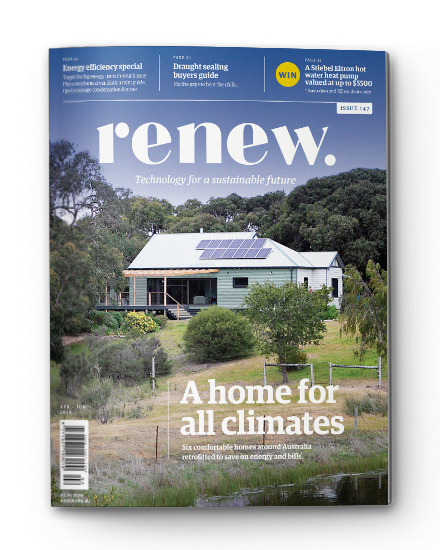 The winner’s name will be published in Renew 148 in July 2019 or Renew 149 in October 2019, and Sanctuary 47 in May 2019 or Sanctuary 48 in August 2019. If within three months of notification the winner does not claim their prize the competition will be redrawn at 11am AEST on Friday, 2 August 2019 at Renew, Level 1, 39 Little Collins St, Melbourne VIC 3000. The redraw winner will be contacted by phone and will be notified in writing. The winner’s name will be published in Renew 149 in October 2019 and in Sanctuary 49 in November 2019. Prize includes one (1) of the following Stiebel Eltron Hot Water Heat Pump models, including installation by a Stiebel Eltron service manager or an authorised service agent: WWK 222, WWK 222H, WWK 302 or WWK 302H. Total retail prize value including installation is estimated to be $5,500. After the Hot Water Heat Pump has been installed, the total STC value is to be attributed back to STIEBEL ELTRON Australia Pty Ltd. The competition is only open to Australian and New Zealand entries and includes delivery and full installation. Stiebel Eltron reserves the right to change system specifications without notice. The winner will submit to Renew photos of the installed prize. These photos may be published by Renew and Stiebel Eltron. The winner will agree to be interviewed by Stiebel Eltron a few months after the system is installed and comments may be used in Stiebel Eltron marketing and promotion. Approved under NSW Permit No. TBA and ACT Permit No. TBA.